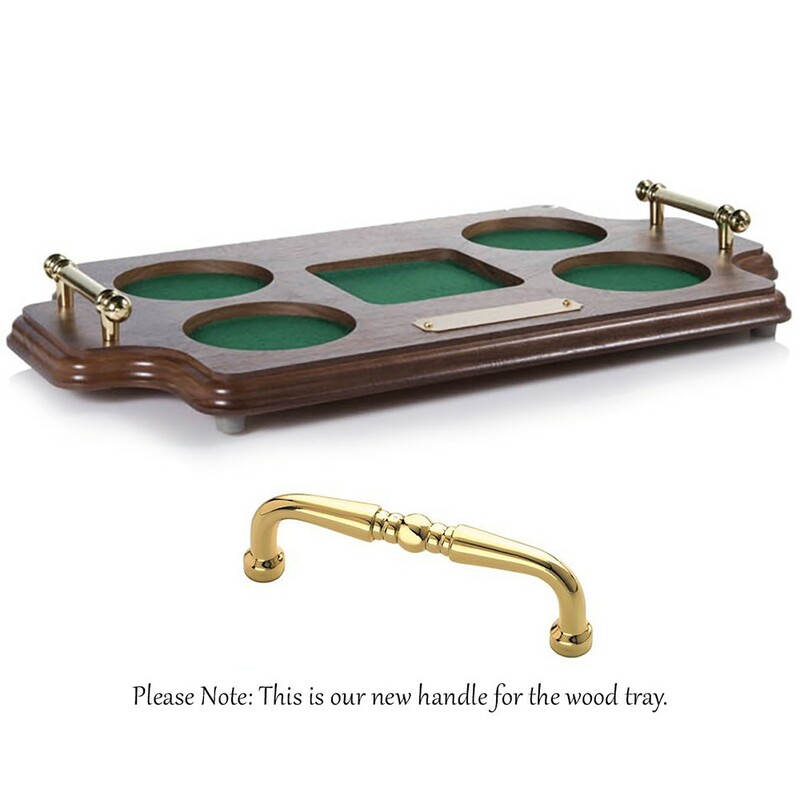 Presenting this set on our custom walnut wood tray makes for a beautiful gift. 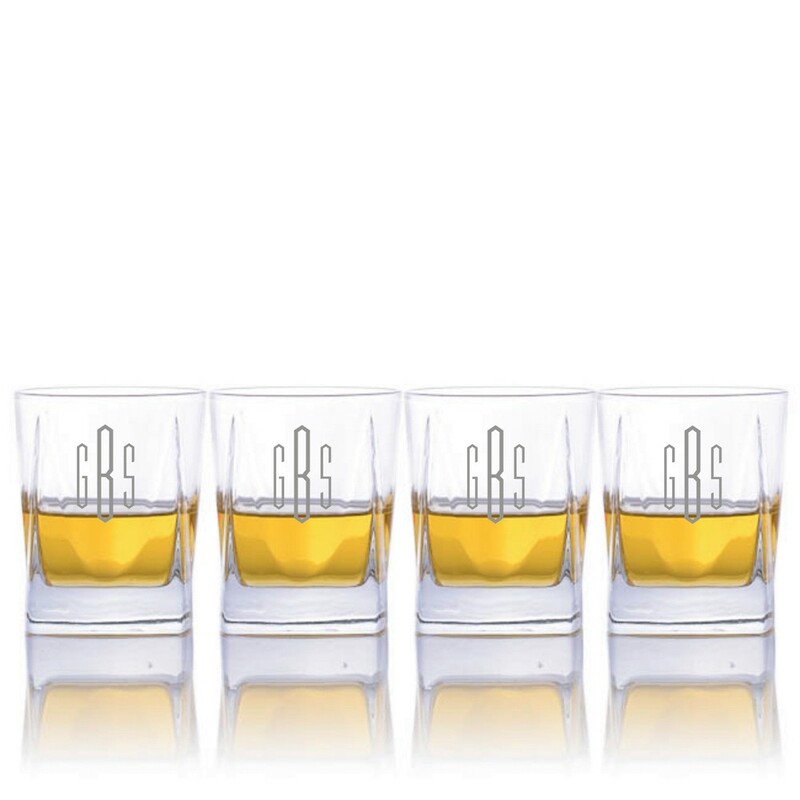 Add a personal touch to your home barware collection. 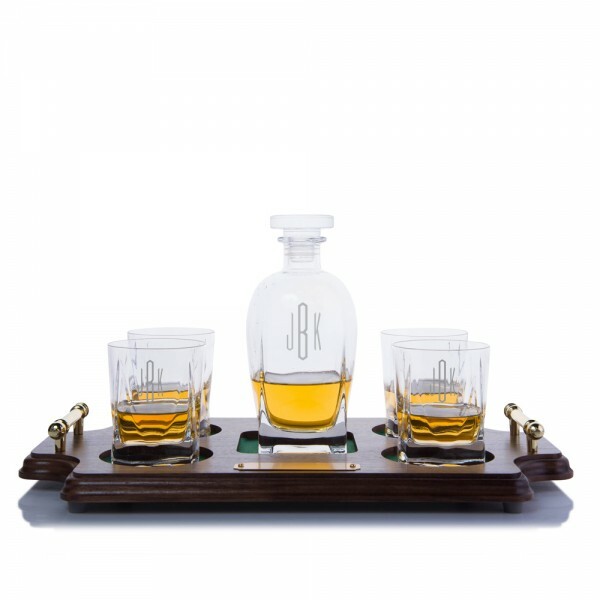 Personalize this decanter set for you, or as a gift! This set is the perfect presentation for a personalized company award too! 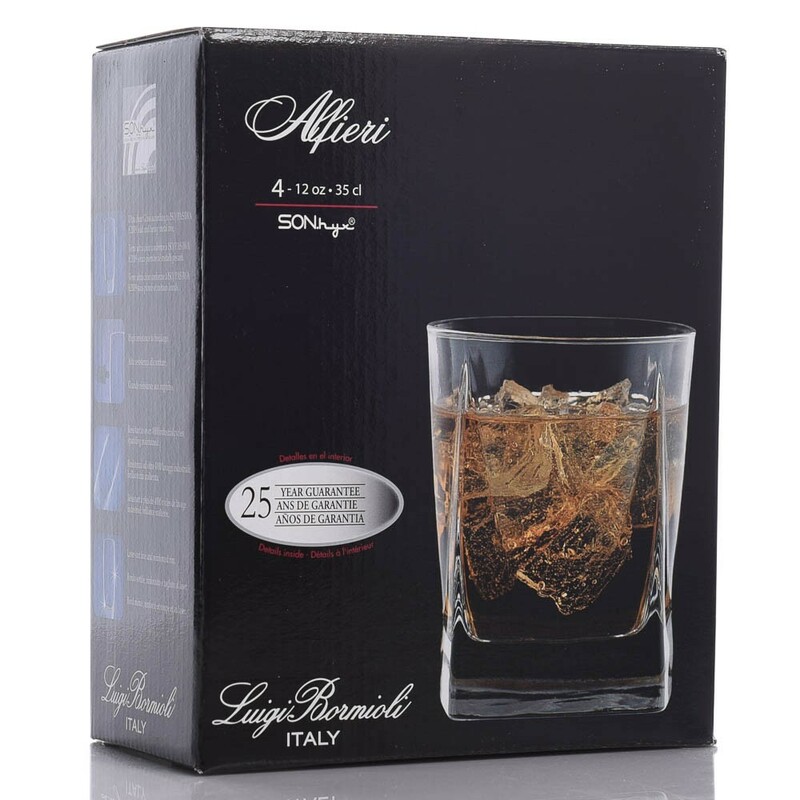 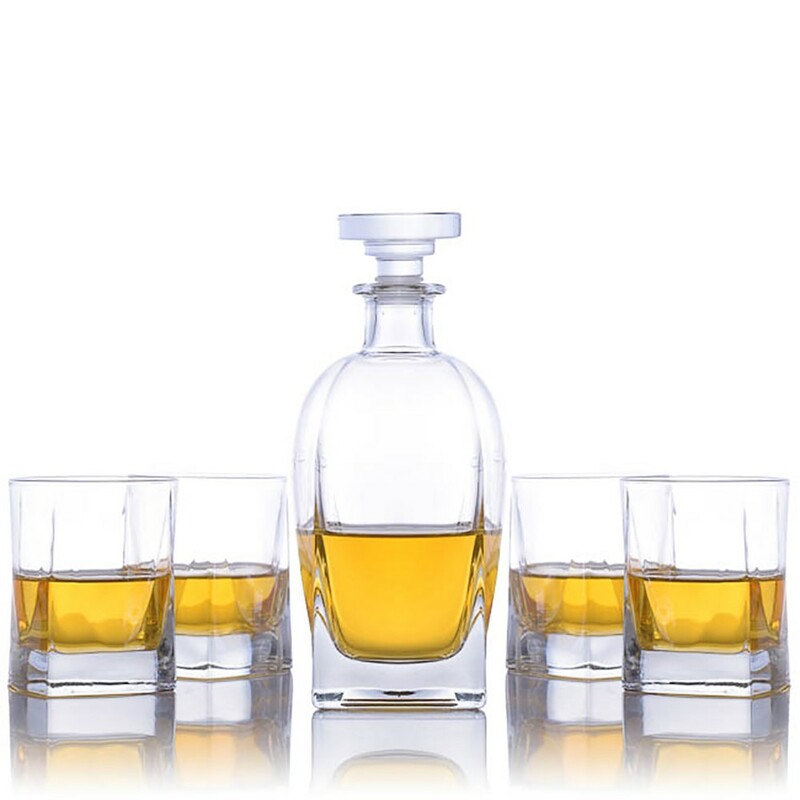 This 6 piece Engraved Luigi Bormioli Rossini Decanter Set makes a wonderful addition to your bar. 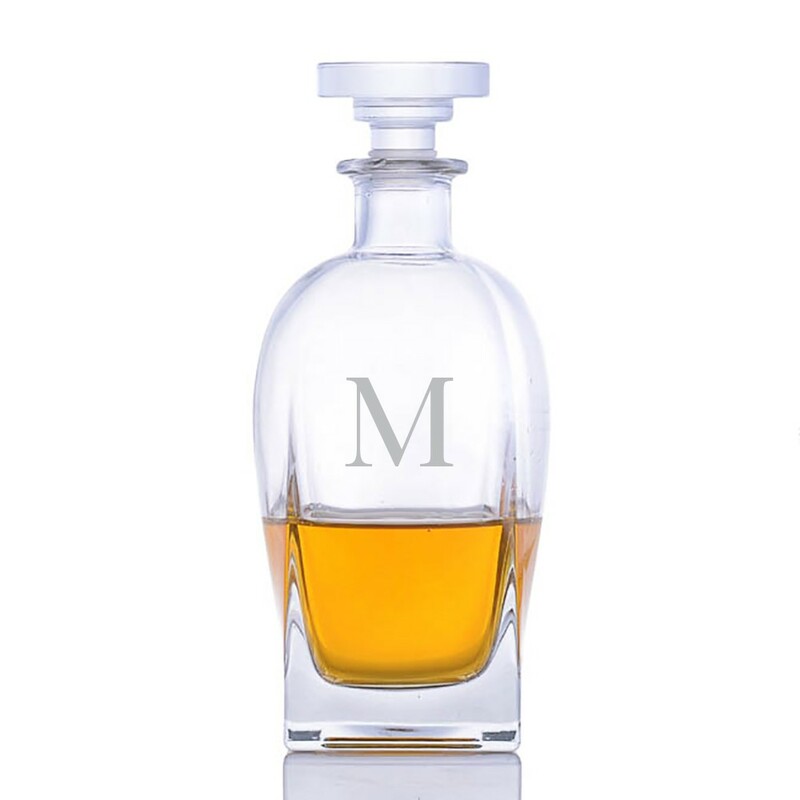 Elegantly packed for gift-giving.